Searching for hotels with conference facilities can feel like an enormous task. Luckily, we’ve provided a list of the top ten hotel venues in London. From historic and iconic to contemporary and convenient. These hotels with conference facilities will supply you with inspiration when booking your next corporate event. Located in Blackfriars, Crowne Plaza is a stunning hotel that you can hire for your next corporate event. 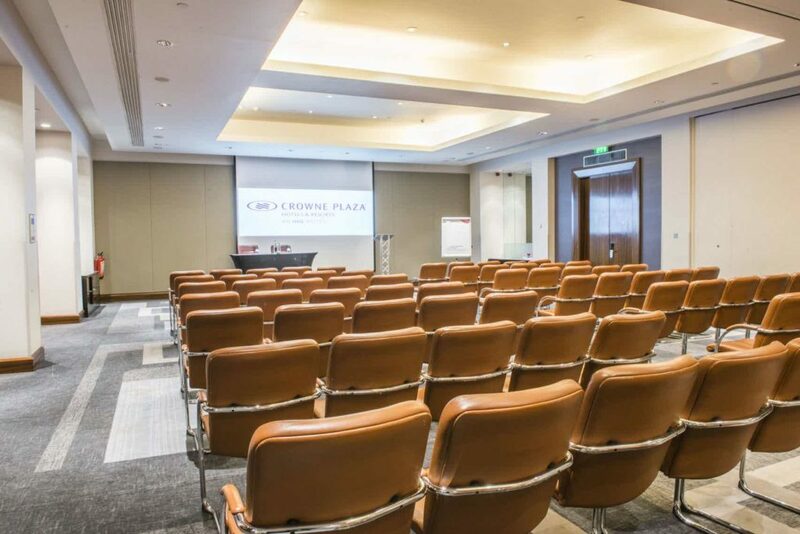 The largest of the meeting rooms at Crowne Plaza, Bridewell Suite can accommodate 200 people making it the ideal conference room for corporate events. The Space is split between two adjacent rooms so you can configure the conference room however you like. 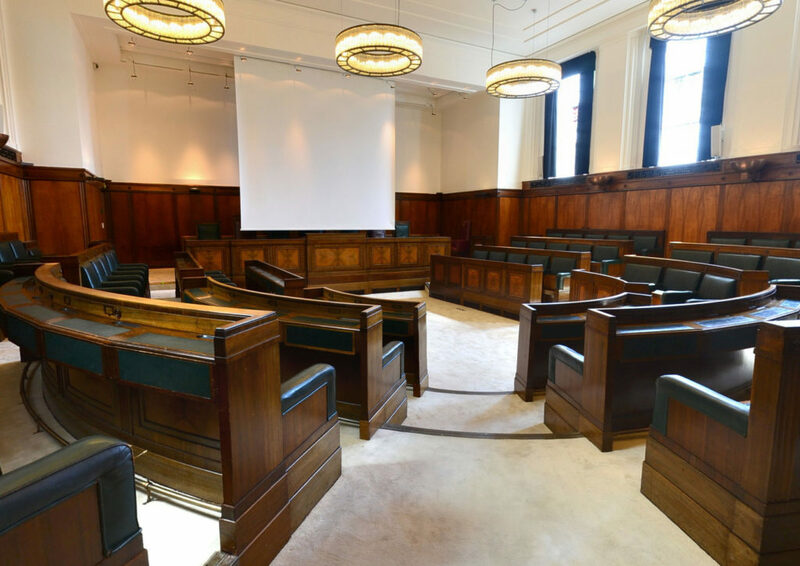 The contemporary and stylish Space is an easy meeting room or conference room hire in central London and with all the facilities you need built-in, this is no-brainer venue hire in London. First on our list of hotels with conference facilities is a venue with extraordinary character. The Burlington Room at The Ritz boasts a conference room exuding an incredible elegance. Combining state of the art facilities with period splendour this conference room is a truly unique hire. Up to 80 Guests can be hosted in this wonderfully decadent hotel conference Space. 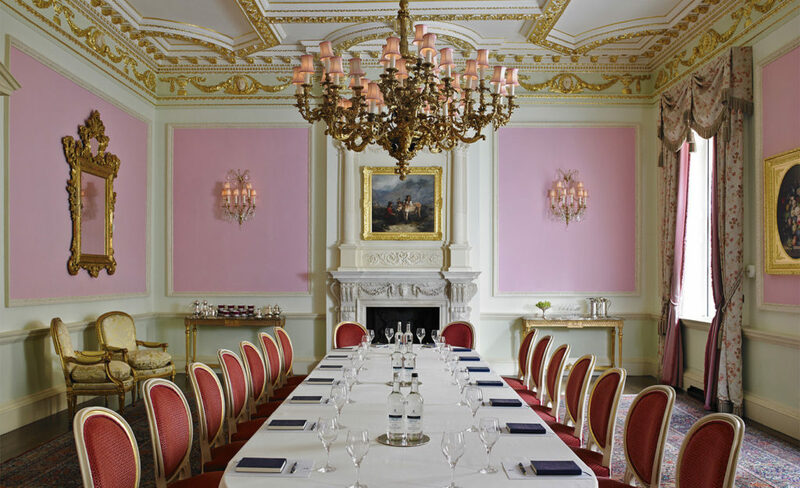 Treat your Guests to an exclusive atmosphere at The Ritz with a team meeting held in the Burlington Room. Positioned within London’s iconic Ritz Hotel, The Burlington Room presents Guests with lavish surroundings. 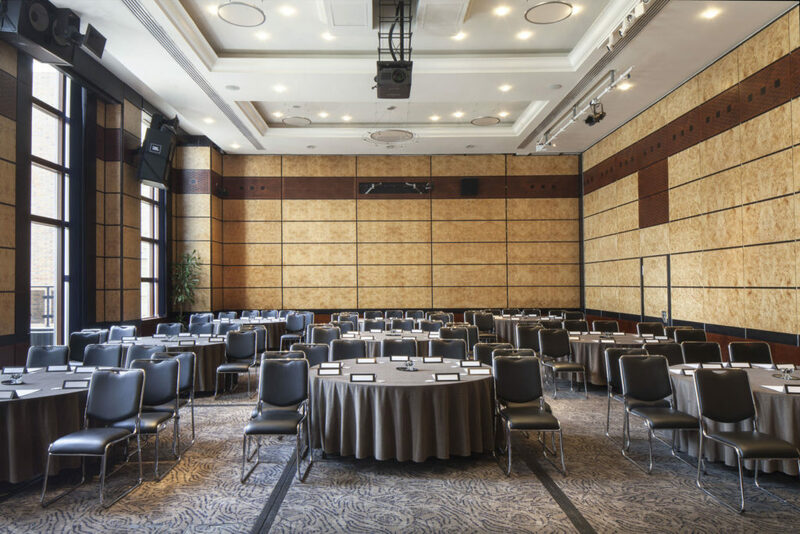 For one of the best conference facilities in London, Grange Hotel is located conveniently between Tower Hill tube and London Fenchurch Street train station. Its vast ceiling gives the Space an airy atmosphere, ideal for large company conferences. Up to 200 Guests are sure to feel focused within this beautifully modern conference room. Spacious and versatile, this conference Space is a top choice when it comes to flexibility and great facilities. Offering equipment including video conferencing and on-site technical support, this hotel venue has everything you’ll need for a successful event. This smaller conference room offers a boutique feel for company events. As hotels with conference facilities go, this one boasts a bright and colourful choice. Complete with plush furnishings, your Guests will feel comfortable and relaxed within this Space. Take a break from your meeting and enjoy a board game from the array offered by The Ampersand Hotel. For between 10 and 35 Guests, this conference room is the ideal hire for more intimate events. Just a short walk from Cambridge Heath train station is a traditional town hall hotel venue. When booking conference rooms, the striking decor makes for a great talking point between Guests. The classic accents within this conference Space are enhanced by an abundance of natural light, creating the perfect place to host your next corporate event. With a capacity of 110 Guests, this hotel Space is ideal for combining historic grandeur with modern conference facilities. With a view of London’s iconic skyline, the Discovery Suite is sure to impress and inspire. Boasting bright colours and state of the art conferencing facilities, this conference room is a flawless fit for your next event. 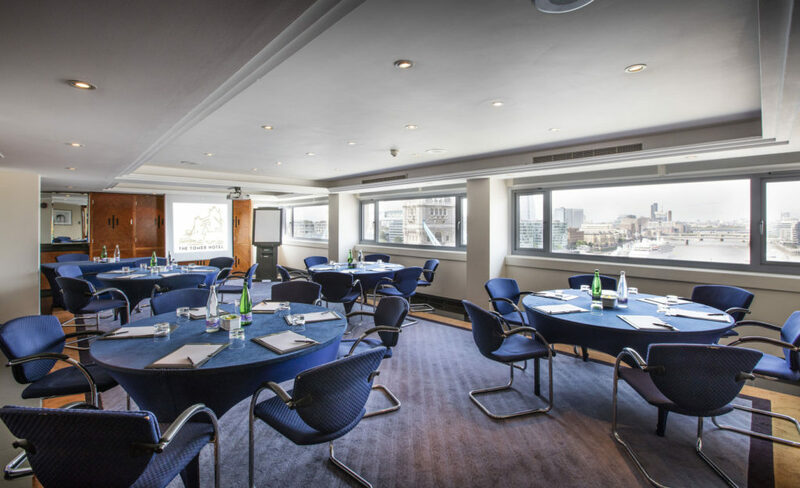 With a stunning view of Tower Bridge, your Guests will feel inspired and focused throughout every conference. Warm and welcoming, the Orient Suite at The Grosvenor is a beautiful destination for your next conference. The velvet furnishings add a rich and refined brilliance to this conference room. Exquisite lighting enhances the elegant sculpted ceilings within this hotel conference Space. This conference room connects past and present with divine decor and advanced conferencing technology. This Space has a grand capacity of 120 Guests. In your search for hotels with conference facilities, the Orient Suite exhibits an extraordinary option. 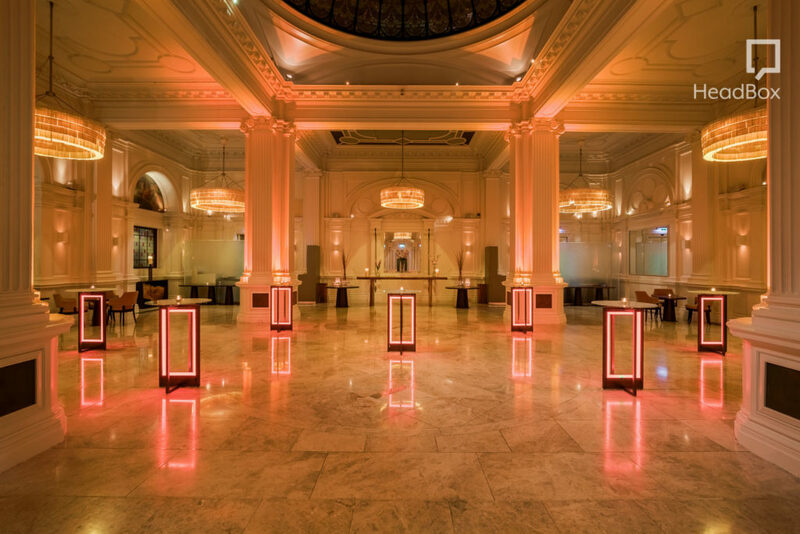 This stunning hotel venue presents an incredible option for conference room hire. The 1901 Ballroom can be tailored to any event, from company celebration to large-scale conference. The magnificent marble floors are enriched by the warm lighting provided by the striking chandeliers. For a conference Space with charming and luxurious character, this is the ideal option. This Space boasts a capacity of 180 Guests. As hotels with conference facilities go, the 1901 Ballroom presents a top choice. Mellow ambience is provided by the warm wooden accents that fill this conference room. Beautifully modern overhead lighting graces this conference Space. This conference room has a capacity of 150 Guests. The floor to ceiling windows allow for plenty of natural light to flood the Space and offer a view of bustling Piccadilly Circus. Any conference held in this hotel venue is sure to be a success. 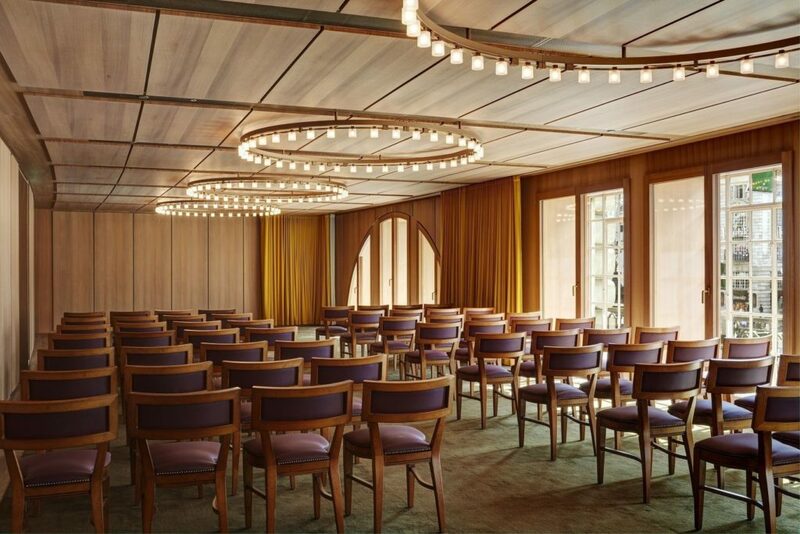 At the end of our list of hotels with conference facilities is The Ballroom at Bulgari Hotel. Stylish charcoal grey decor and luxurious lighting feature in this conference room. 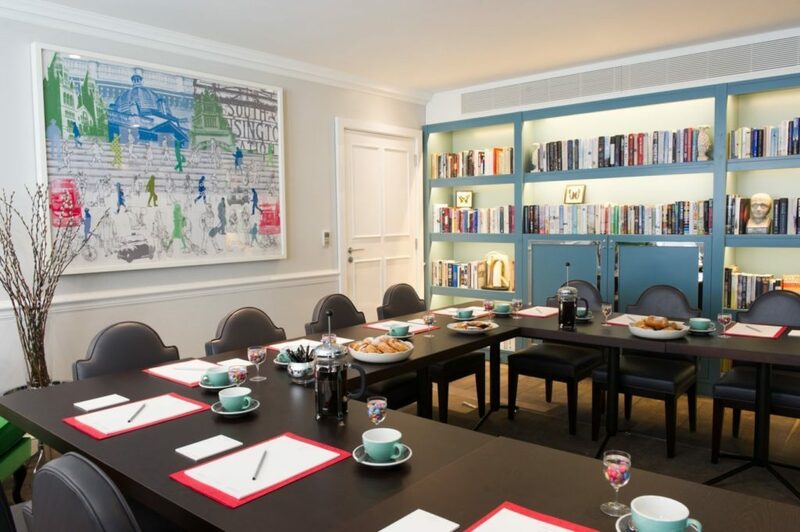 Just a stone’s throw from Knightsbridge tube station, this conference Space is positioned in a superb location. Accommodating for up to 140 seated Guests, there’s no need to worry about capacity. 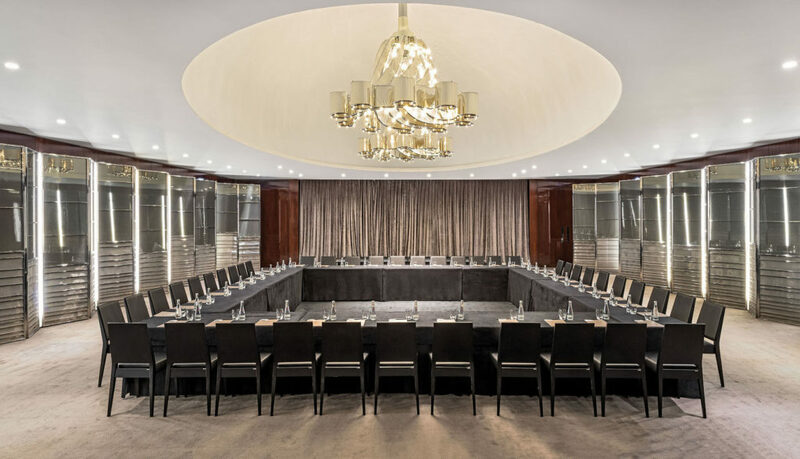 This conference room at Bulgari Hotel is sure to make an impact on your Guests. There you have it. 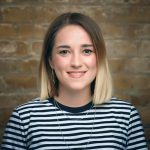 A list of the top ten hotels with conference facilities in London. 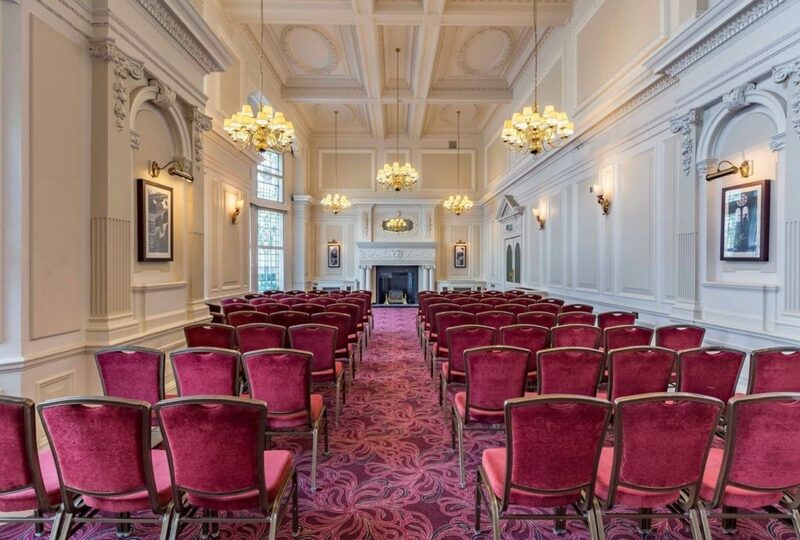 If you didn’t find what you were looking for, click here for more London conference venues.